The feed in tariff had now closed for new applications, please see the SEG. The Feed in Tariff is made up from the Generation Tariff, Export Tariff and savings by using the generated electricity at source. The generation tariff is a payment made by the energy supplier for each kWh of electricity your installation generates. We install a small digital generation meter that records all the electricity generated. You submit the reading to your utility provider and they pay you quarterly in arrears. This rate fluctuates with inflation and will change each year for new entrants to the scheme. Once you join you will continue to receive the tariff for 20 years. The payment received depends on the size and type of technology you’re using rather than being a set rate. Solar PV is capable of producing some of the most profitable energy figures. The export tariff is a bonus payment for every kWh of electricity you generate and then export to the grid. The payment is a deemed payment of 50% of the generation linked with the RPI. You export back and the electricity supplier then delivers the electricity to another customer. The tariff has been designed as an extra incentive to encourage people that they will still receive money for any surplus electricity they generate. Who do I receive the payments from? The money you receive for both the Generation and Export tariff doesn’t come from the government – it is actually paid by the energy suppliers. The suppliers pass on the cost of the Feed-In Tariff to their electricity customers, essentially making traditional energy consumers pay for your self-generated electricity. All the costs are spread equally across all the energy companies. Solar Age will help you complete the registration process with your utility provider. 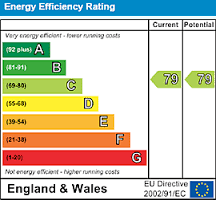 You will need an EPC of D or above before the PV solar system is installed when you apply. Solar Age will arrange this for you.